June is the magical month to revel in the bounty of shellfish and seafood in British Columbia, Canada. Comox Valley, located on the east side of Vancouver Island, is the aquaculture capital of Western Canada and home to the annual B.C. Shellfish and Seafood Festival. 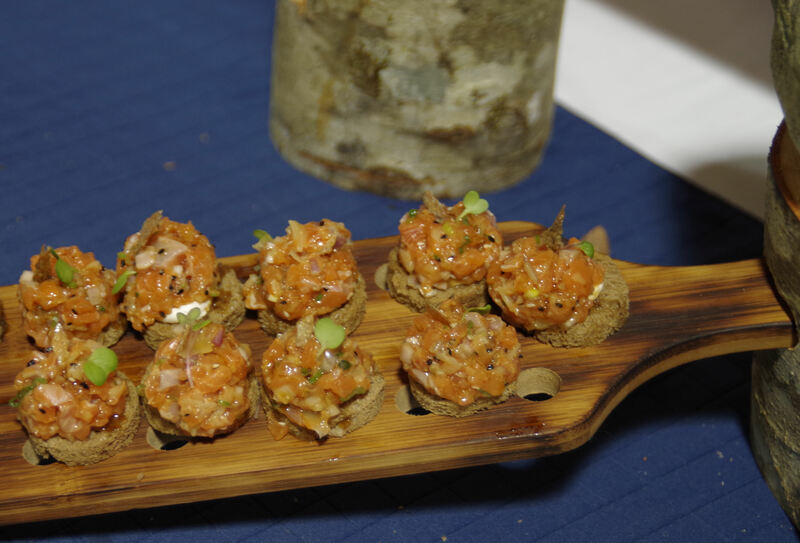 Each year the event grows in number of events, attendees, exhibits and astounding food creations. 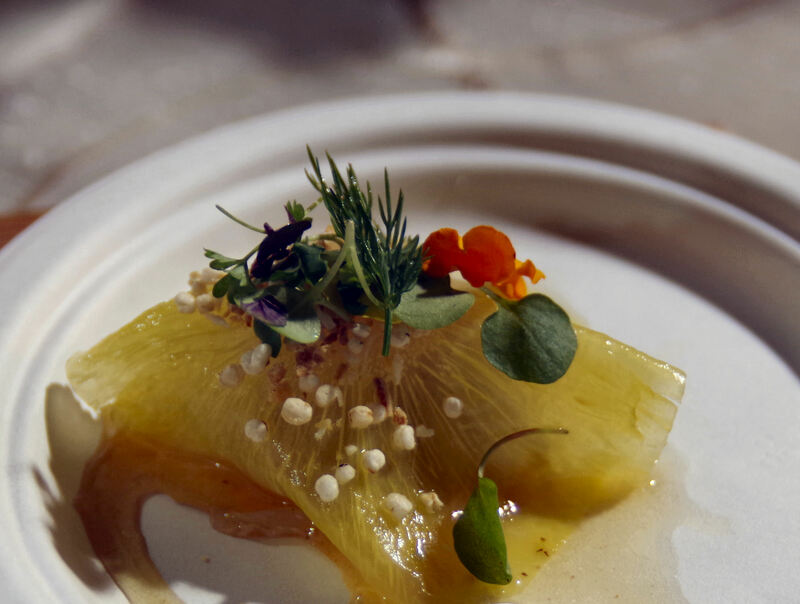 This year, at the 11th festival, many of Canada’s top chefs together with several guest chefs from around the world cooked and competed during signature events. Fresh Fest started the celebration on Saturday, June 10, followed by the Salmon Capital Seafood Taste, and the Chef’s Shellfish Showdown Competition. Tickets to Fresh Fest and the Showdown sold out months prior to the event. Cars, limos and shuttles arrived early on the eve of the 10th as people anxiously awaited entry to Fresh Fest. Parking attendants struggled to shuffle cars while simultaneously maneuvering attendees toward the entrance of Coastal Black Winery. The winery, once a dairy farm, stood festooned in lights and décor that created an atmosphere of outdoor elegance. Anticipation buzzed through the air while Ari Neufeld played music in the background. More than 300 guests milled around the property, stopping occasionally to fill their glasses with crisp Coastal Black white wines. 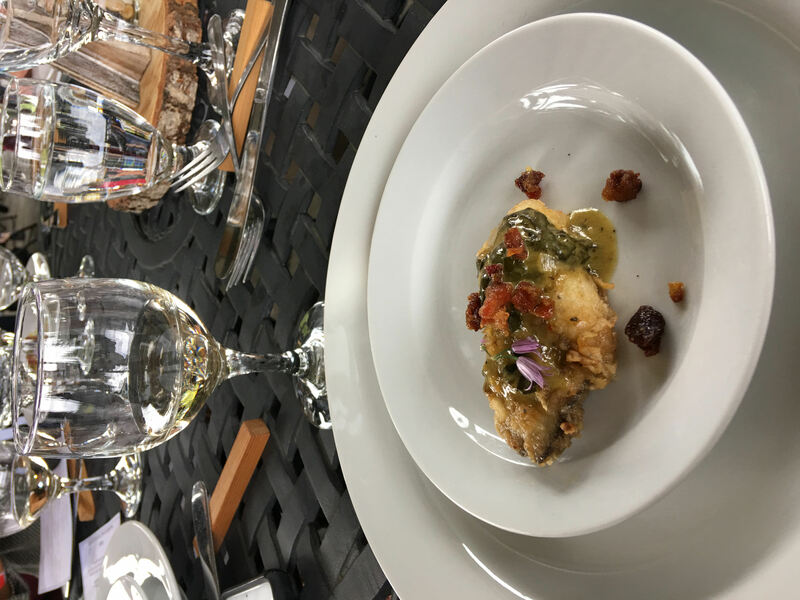 Food stations, interspersed around the patio and inside the decorated barn, bustled with hungry guests lined up to taste the stunning creations of seafood culinary art. The dishes, dazzling to the eye, tasted delectable. 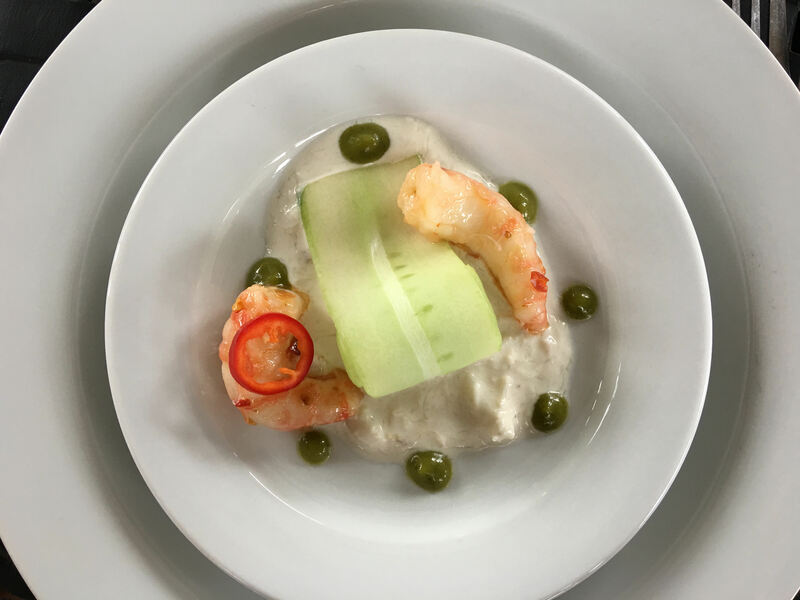 Eleven top-level Canadian chefs prepared seafood with inspirations from India, Spain, Asia, and other countries around the world. Sturgeon, salmon, mussels, and oysters appeared in innovative and delicious ways that pleased even the most sophisticated palates. 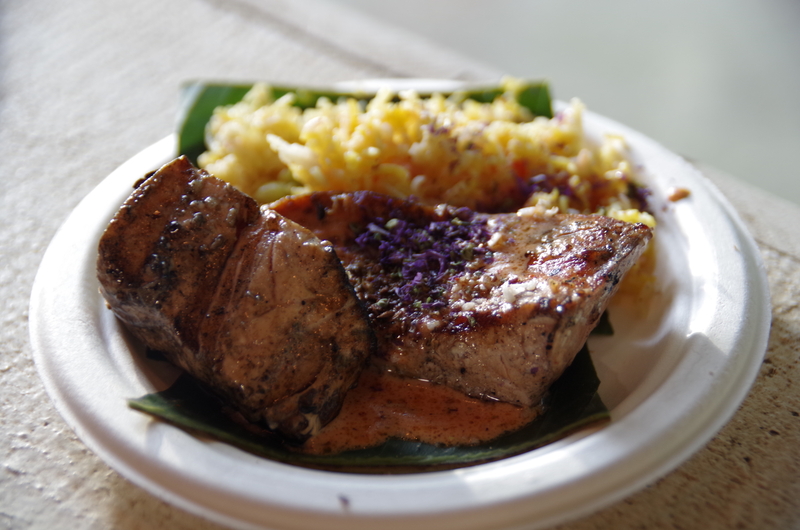 The following five dishes at Fresh Fest delivered exceptional culinary taste, technique and artistry. The Salmon Capital Seafood Taste took place at lunchtime under an enormous white tent in Campbell River. The Campbell River Hospital received a minimum donation of $5 per person. 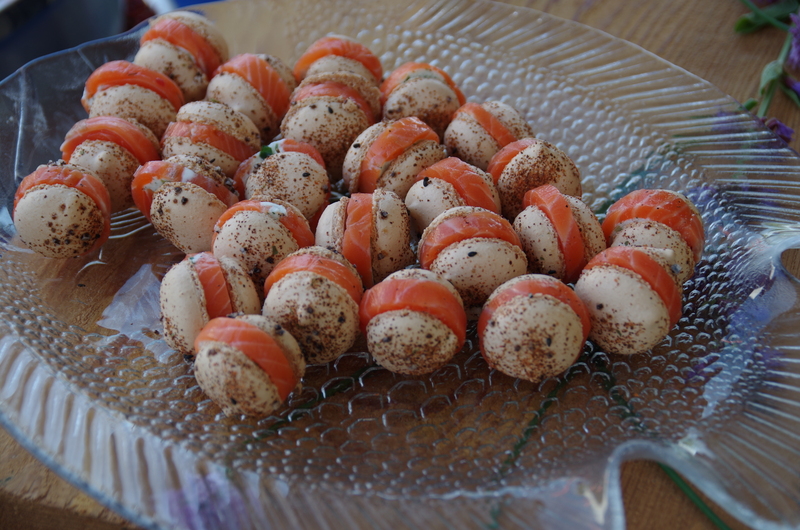 Farm-raised salmon highlighted the event’s menu. 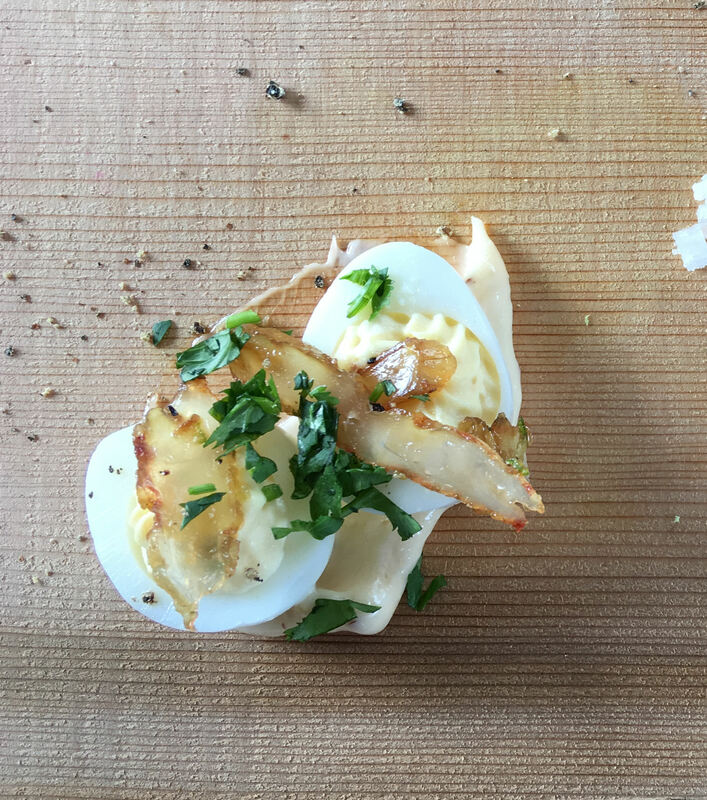 Attending chefs created unique plates that gave guests something to talk about. 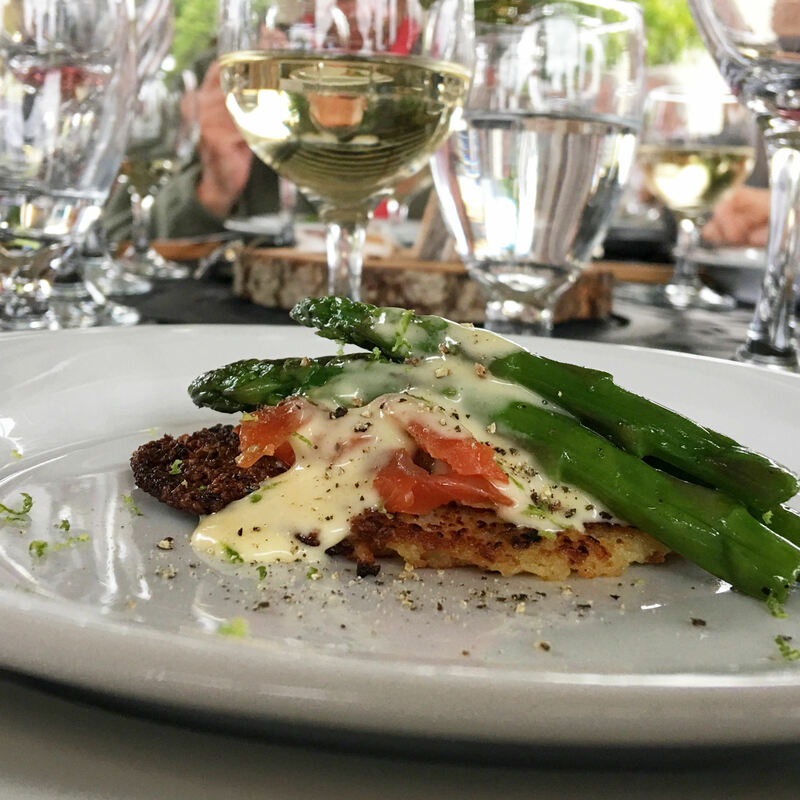 One of the most unusual dishes was the Chinook Gravlax macaroon stuffed with apple goat cheese by Chef Xavier Bauby of North Island College. Chef Xavier Bauby definitely used staggering and innovative thinking to design a cookie filled with salmon and crafted it into something simply delicious. 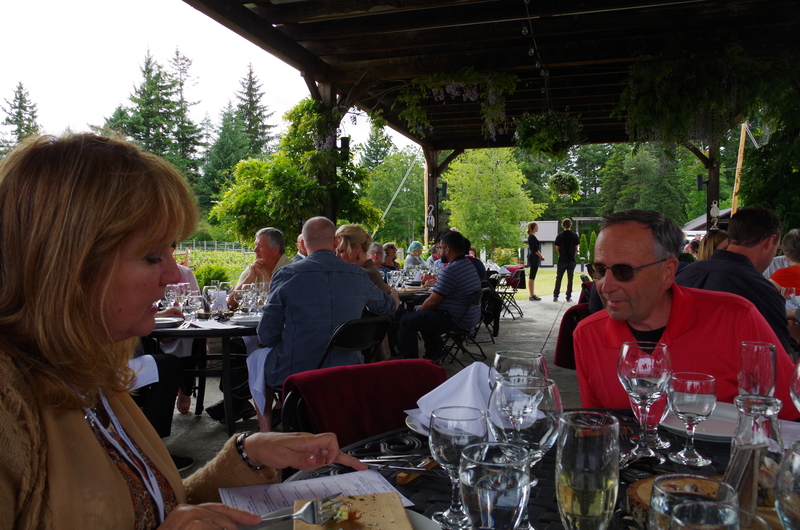 The crowd relaxed and enjoyed the event while listening to Luke Blu Guthrie, Courtenay’s rhythm and blues musician. The climax of the weekend starred the gala 10-course, sit-down dinner featuring the skills of only a few chefs. 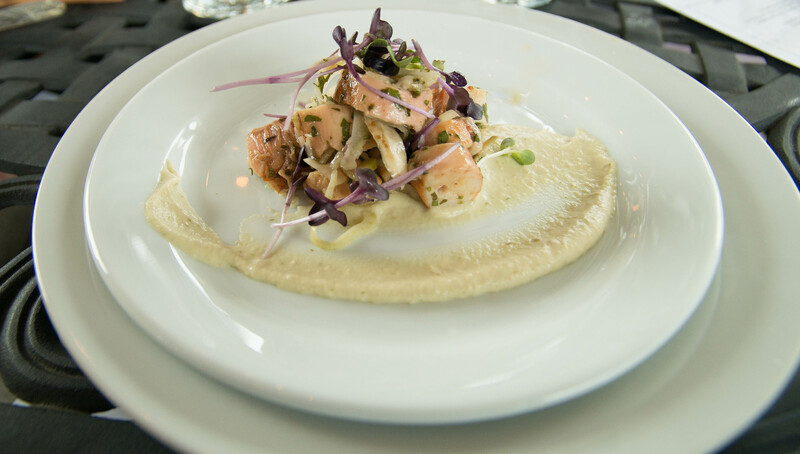 The Chef’s Shellfish Showdown, held at 40 Knots Estate Winery, reigned with success. 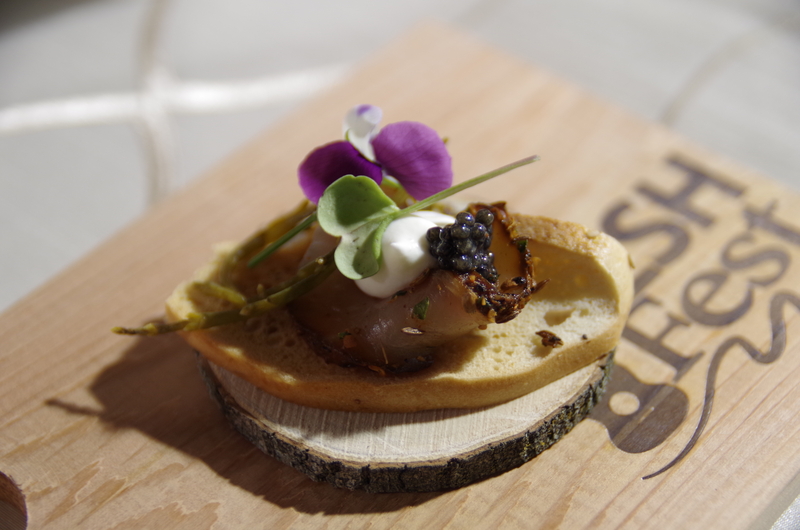 Three renowned Canadian chefs battled to prepare crowd-winning dishes. Ten courses paired with 40 Knots wines awaited judgement from guests to determine the winning dishes. Eight dishes stood out among the ten. 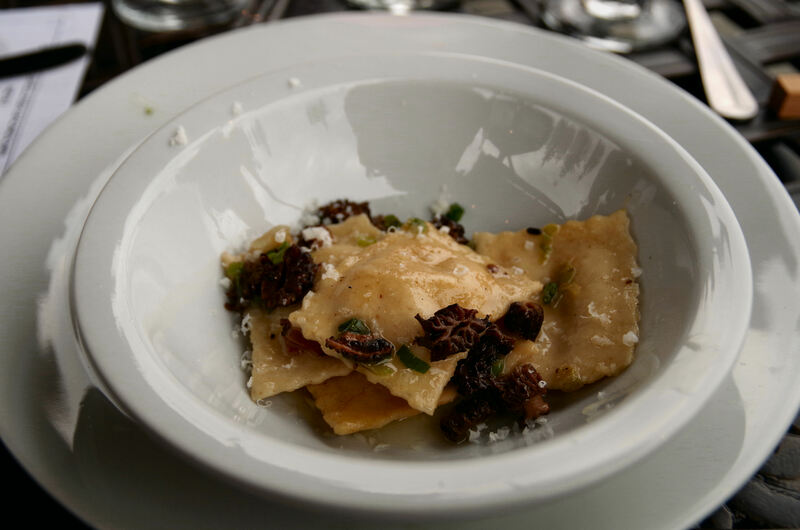 At the end of the evening, Chef Andrew Shepherd’s Cowichan Pasta Crab & Shrimp Ravioli won 1st prize. 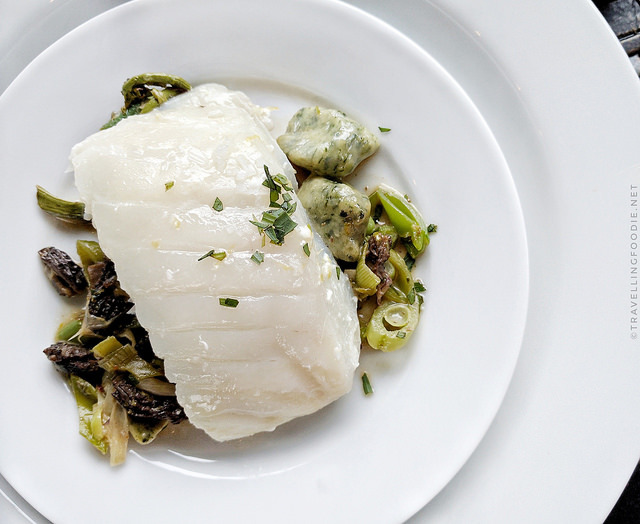 Chef Alain Chabot’s Chez Vous Rockerfeller and his halibut took second and third place. 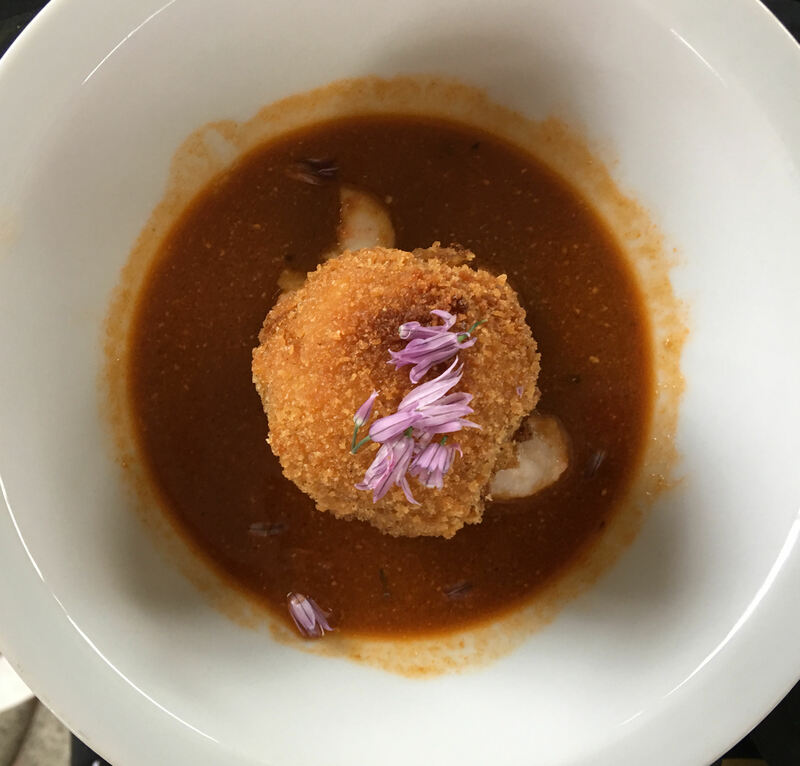 Guest votes awarded first, second and third prize, but chefs at the event deemed that Chef Ian Blom’s dishes encompassed technical complexity and that the flavors balanced well in both of his plates. The abundance of food and tastes delighted the palate. 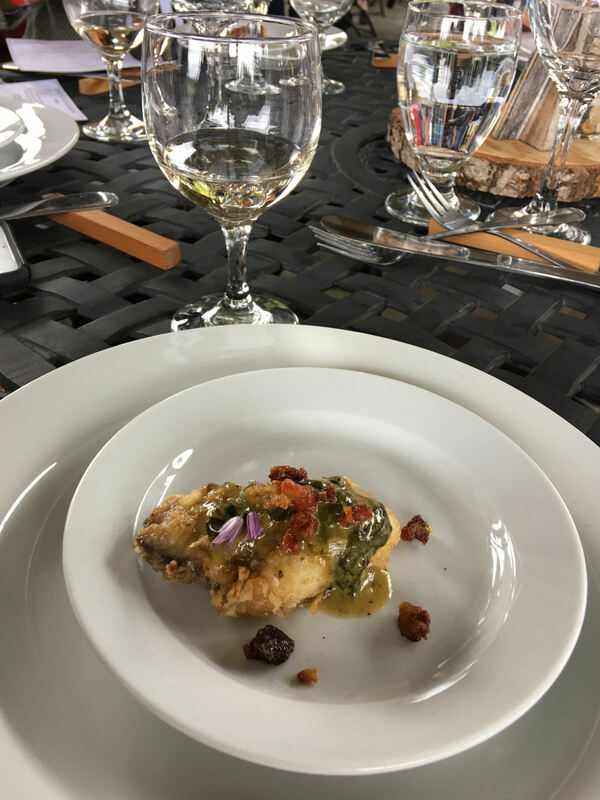 The warm June air accented the perfect ambiance for this seafood extravaganza. Don’t miss out on next year’s BC Shellfish & Seafood Festival. Start looking online for tickets in late December.